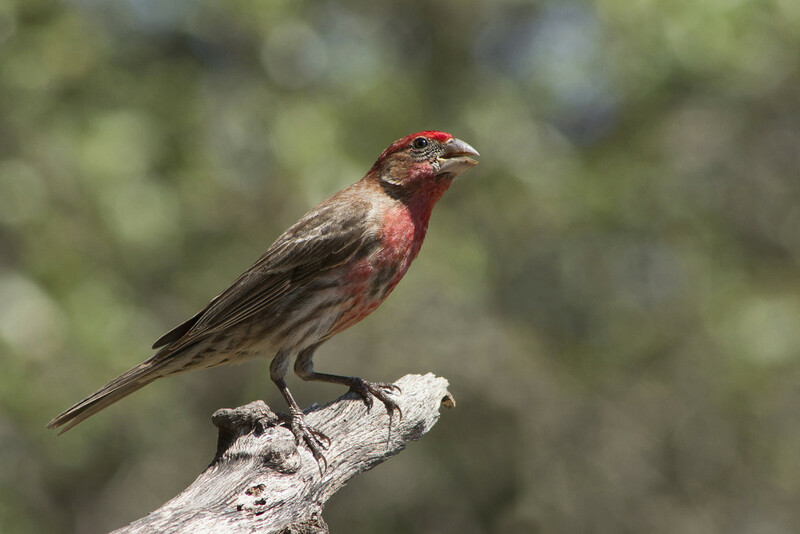 Starting 30 Days Wild with a male House Finch. He might be a juvenile but I'm not absolutely certain. Thanks for naming a bird that has started coming to my feeder. He is so colorful & your capture is wonderful. Our Finches are eating us out of house and home! This is such a great photo of a male! He is so colorful and beautiful ...I always enjoy seeing finches!